Online Lottery is famous for making New Zealand gambler’s dreams of becoming millionaires come true. It is as simple as predicting the lotto jackpot numbers. 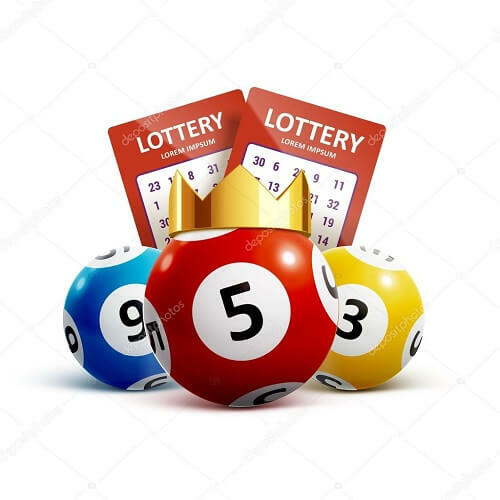 The lottery is the most common gambling pastime in the world, with its popularity prompting developed to create online lottery games in their many variants. Nowadays, players do not need to go to their nearest store to buy a lottery ticket. Kiwi players can play the lottery online in the comfort of their own homes. Read through our lotto online review for an in-depth look at the online gambling game and how it is played. The Lotto refers to the gambling game in which players have to predict the sequence of numbers in order to win. The lotto ball numbers are cast out of a machine that has a total of 40 balls. In order to win, players need to predict only six numbers that will be drawn on their lotto ticket. Online lotto is no different. It is played on the internet in which a random number generator draws the numbers combinations. There are different types of online lottery games that you can find in New Zealand, all reaching jackpot prizes in the millions. Big Wednesday – With a live lotto draw NZ that is streamed on Wednesdays, Big Wednesday has a jackpot prize of NZD$2 million cash prize that Kiwi punter play for every week. Lottery or Lotto 6/40 – Probably the most popular of all lotto games, punters predict six out of 40 numbers to win. You can become a millionaire all from a minimum lottery ticket bet of NZD$2.40. NZ Powerball Lottery – The Powerball takes on a similar procedure, with the difference lying in determining the last and special ball to be drawn. Guessing the ‘powerball’ correctly along with the other five numbers grants players a huge reward. Lotto Strike – As the name suggests, the aim is to predict four numbers in the correct order to the first four drawn numbers. Bullseye Lottery – One of the most popular lottery games in NZ, players pick between 000,000 to 999,999. Players win based on the proximity to the winning number drawn. Sign up at a New Zealand online lottery website. Select the online lottery game online. Choose your lotto numbers on the ticket with 15 lines. Depending on the lotto game, the results may come immediately, daily or by weekly basis. Collect your winnings on through your favourite payment method. While this may be a game of chance, there are a few tricks that have been common among lotto jackpot winners. Our gambling experts rounded up all the rules of playing online lotto in New Zealand. Players must be 18 years or older to play lottery NZ games. Kiwi players should also familiarise themselves with the terms and conditions of each game of Lotto. Each game has different numbers and lines that players can bet on. There is an option of choosing an automated number generator to pick your numbers just in case you don’t want to pick your own numbers. The NZ online gambling scene only introduced online lotto in 1986, but the game has grown tremendously since then. The number of NZ lottery winners grows each day, with players guaranteed to win a fraction of the jackpot prize based on the number of correct numbers they predicted. If you feel like you got what it takes to win the online lotto jackpot, play real lottery online at any of our recommended casinos and win.